It may not be the best Student Loan Forgiveness Program for Nurses on offer, but the Perkins Loan Cancellation Program is pretty dang close to being top of the pile. Perkins Loan Forgiveness for Nurses, Licensed Medical Technicians and Medical Assistants allows full-time Nurses and Licensed Medical Technicians to receive student loan debt forgiveness benefits on a percentage of their outstanding principal balance and interest accumulation for each year of qualifying service that they complete in the field. Officially called the Perkins Loan Cancellation Program, the reality is that “loan cancellation” operates the same way as all the other Federal Student Loan Forgiveness Programs: once you satisfy the eligibility conditions of the program, some part of your student debt gets wiped out (“forgiven”). 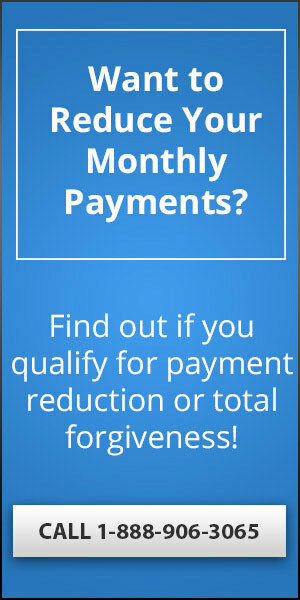 Perhaps the biggest benefit to the Perkins forgiveness program is that you’re able to receive debt forgiveness for both the original principal amount of your loan, as well as the interest that’s been accumulating on your debt, and that you can qualify for a 100% forgiveness benefit after just 5 years worth of service (to put it into context, that’s twice as fast as the Public Service Loan Forgiveness Program!). I want to let you in on a little secret: the only way to find out the fastest, cheapest way to get rid of your loans is to speak with a student loan debt relief expert, and while some people will tell you not to pay anyone for help, I don’t agree with that advice. Why? Because student loan debt is terribly complicated, and you have to understand the different types of loans, different repayment plans, different forgiveness and cancellation options, and many other factors, in order to truly understand how it all works. If you don’t want to spends hours researching your options, then I recommend calling the Student Loan Relief Helpline. The Helpline is staffed by debt experts who will review your situation, then tell you how to get rid of your debt as quickly as possible. In fact, they’ll even do it all for you, for a small fee. Your first call to the Helpline is free, and you’ll only be charged if you agree to let them handle your loans on your behalf, so all you’ve got to lose is a couple minutes of your time. Which Nurses Are Eligible for Perkins Cancellation? But that’s not all, because Perkins Loan Cancellation benefits are also available to Licensed Medical Technicians as well. Which Licensed Medical Technicians Are Eligible? Licensed Medical Technicians and Allied Health Professionals working in healthcare fields like therapy, medical technology, dental hygiene, and others, may also take advantage of the Perkins Loan Cancellation Program. To qualify for the benefits, Licensed Medical Technicians must be certified, registered, or licensed by a state agency under which they provide health care services, and they must fit the definition of being someone who “assists, facilitates, or complements the work of physicians or other healthcare specialists”. That’s a pretty good percentage of the healthcare industry right there, meaning that far more people than just nurses working in the field of healthcare are available for these excellent benefits. How Much Debt Gets Cancelled? Unlike some of the other Student Loan Debt Relief Programs on offer, this one doesn’t cap your benefits by a dollar amount, but as a percentage of your total debt. And while some people may think that those numbers look small, these are some of the very best forgiveness benefits available to anyone, anywhere. In fact, the way the numbers break down is that you’ll receive total cancellation benefits (with 100% of your loans forgiven) after just 5 years of medical service. That’s TWICE as fast as the Public Service Loan Forgiveness Program, the traditional Gold Standard in Federal Student Loan Forgiveness. I’m not aware of any other program that offers complete student loan forgiveness for just 5 years of service, so in my opinion, this is one of the best forgiveness programs available anywhere. In fact, even the excellent Military Student Loan Forgiveness Programs are capped by a set dollar amount, and may not completely wipe out student loans like this program does. Here’s where things get a little tricky – technically, it’s up your school to determine whether or not you’re entitled to have your loan (or some portion of it) cancelled. You will have to apply for cancellation benefits through your school, by obtaining, completing and submitting whatever forms your school requires (and this varies depending on where you went). What you’ll want to do is get in touch with your school’s Student Accounting Department or Billing Service to request the required forms for Perkins Loan Cancellation, and they should guide you through the process from there. You’ll need to provide documentation to prove that you’re working in the medical services field, either as a Nurse or Licensed Medical Technician, but once you can prove that you’re doing that, and that you’ve completed a year of service, your school should start the process of cancelling the appropriate portion of your outstanding student loans. If you’ve got further questions about how Perkins Loan Forgiveness for Nurses and Licensed Medical Technicians works, please contact your school’s billing department to get an official response. However, if you have more general questions about student loans and handling student debt, then you’re in the right place, because I’ve spent 10 years developed over 100 Guides on different parts of the student loan debt process, and you’ll find them scattered throughout this website. To ensure that you’re dealing with your debt in the best way possible, eliminating it as quickly and affordably as you can, be sure to look at my detailed Guides on handling both Federal and Private debt. Finally, if you’re looking for help with a very specific part of the process or advice on what you should do, then please feel free to post your question in the Comments section below. I review Comments daily and will do my best to get you a response within 24 hours. I rely on people like you to help get the word out about this website! If this page was helpful to you, then please consider sharing it with your family, friends, colleagues and Social Media followers. The more people who visit the site, the more time I can dedicate towards developing additional content, and helping more people figure out how to get themselves out of student loan debt. You should contact your HR Department, the Department of Education or the Student Loan Ombudsman Group (Google their name) to find out for sure. I don’t think you’re going to qualify though. I was reading on the nurses who are eligible for the Perkins loan cancellations. Can a nurses work in a ER be qualify for the student loan, also would a student loan relief company help you to contact schools and etc for the loans for a fee? Working in the ER may qualify – try asking your HR coordinator and having them look into this for you. They should certainly be able to figure out if your specific role qualifies or not. A relief company may or may not do this; they’re all different. You’d have to call around and ask them to see if any of them offer that specific service. I was unable to finish through a private RN bridge program as I “failed” the final course. I still owe the total amount of the school and am unable to find a school to take the final course and related clinicals. All schools want you to be enrolled into the program and take the required courses again, or the real schools will not accept the classes from the private schools. My question is: am I required to be working as an RN to apply for forgiveness? I currently work for a non-profit organization and have been for almost 4 years. Thank you. No, you don’t necessarily have to work as an RN to apply for forgiveness, but it depends on which forgiveness program you’re trying to qualify for. Check out my page on Nursing Student Loan Forgiveness Programs for details on all of the available programs for Nurses (some of these are also available to non-nurses as well). Thanks for your time…. I have notified all my co workers (as we all work in a non profit company and low income area) of your website and how helpful it is. Hey thank you Fred! Hope it helps you and your colleagues and friends! If I have subsidized and unsubdized loans and not Perkins loans am I not eligible for this? ONLY Perkins Loans will be eligible for this specific program, but there are all sorts of other options for receiving forgiveness as a Nurse or other Healthcare Practitioner. Check out my pages on Nursing Student Loan Forgiveness and Doctors & Dentists Loan Forgiveness for details on the other available opportunities. Do surgical technologists qualify for this? Good question Greg! As far as I can tell, it seems to be limited to Nurses and “Licensed Medical Technicians”, so the question would be… does a “Surgical Technologist” qualify as a “Licensed Medical Technician”? I’m not entirely sure. 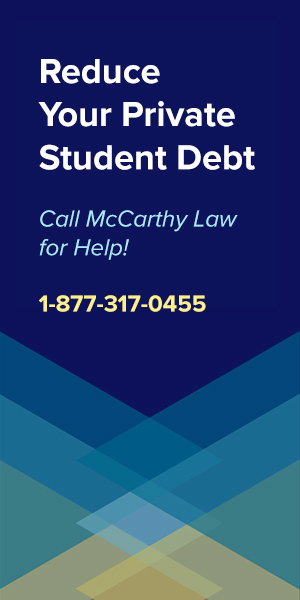 I would ask your HR department at work to research this for you, or try calling the Student Loan Ombudsman Group (this is a free, Government-backed group of attorneys who offer advice about legal issues related to student loan debt). Google their name for their contact info. Are Family Nurse Practitioners qualified for Perkins Loan Cancellation/forgiveness? I know you mentioned ARNPs and was just making sure they were the same. I think so, but you should check the official rules from the Federal Government website on Perkins Loan Cancellation for a definitive answer. It may be in the fine print. 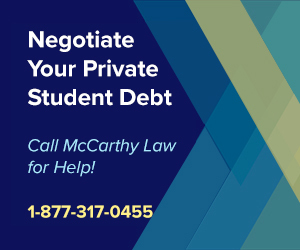 Alternatively, contact whoever services your loan, or the Student Loan Ombudsman Group – the Federal Government-backed group of attorneys that offer free legal advice related to complicated student loan issues. They will be able to tell you for certain. I graduated in 2010 as a PA. I have worked for nonprofit hospitals ever since but just started to pay my loans back within the last 2 years. Does the forgiveness start when you begin paying off the loan or when you start working in the field? Forgiveness starts when you begin making payments on your loans. Everything is predicated on hitting the magic number of payments required to receive forgiveness. 240 for most people, 120 under PSLF. It is a shame CNA aren’t included in this. We work very hard and try to get ahead and then we stuck with student loans. It’s weird how these programs work, and how they determine who qualifies and who doesn’t. I hope something changes in the future to give everyone eligibility, because you guys definitely deserve it. Thanks for what you do; no one’s more important than Nurses! It says in the article cna’s are eligible? Yes. CNAs are eligible for the program. Does nursing care need to be provided stateside? I worked for 5 months as an RN out of the country and then finished the remaining 7 months of the year in the states. This is my last year of Perkins loan forgiveness. Good question – I think it would have to be not just stateside, but also in one of those qualifying facilities. Read through the entire post and you should be able to figure it out. Other option, call your lender and ask them about the rules. Contact whoever services your loans and ask them about this. 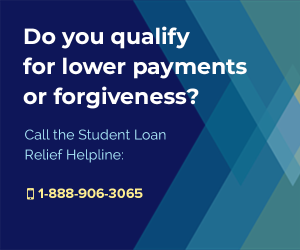 You’ll want to make sure that you’re enrolled in one of the Income-Driven Student Loan Repayment Plans, and that’s basically the only requirement for getting things set up to have your payments count toward forgiveness, if you qualify. I work as a Radiologic Technologist (Xray tech). Would this fall under “licensed medical technicians”? Contact whoever services your loan, as they’ll be the people who have final say on what counts and what doesn’t, and they should definitely be able to help you with this. I am in the process of getting my loan forgiven. I just applied for the final year of cancellation. I am a RN working as Case Manager. I forgiven for last yr that I applied. I worked in the same job with the same job description. They notified me that I no longer qualify for forgiveness and they r taking my approved forgiveness away for last year. They said since I don’t give direct nursing services I don’t qualify. According to what I got from my school about the Perkins qualifications, it didn’t specify direct pt care but any RN assisting physicians in care and directing care does qualify. What do u think or suggest..? If I were you, I’d start with the Ombudsman Group. If they can’t give you a clear answer, then I’d go for the student loans advisers and try to get this taken care of on the cheap. If you get to that point, you should call the Federal Student Loan Relief Helpline, which is a paid service, but my favorite company operating in this space. You can reach them here: 1-888-906-3065. Try the Ombudsmen first. I think they should be able to help. What about Radiologic Technologist or Cardiac Cath Lab Technologist? Are they eligible under medical technologist? I’m not entirely certain… you’ve got three options for finding out. 1. Call whoever services your loan and ask them. (And hope that they don’t lie about it… or mislead you…). 2. 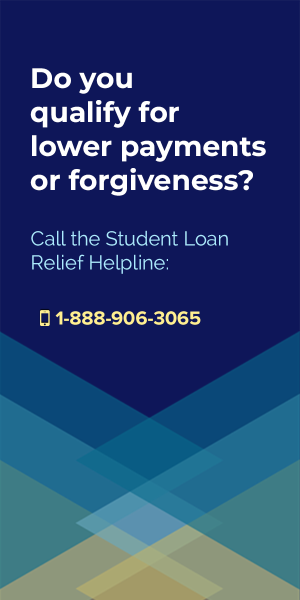 Call the Federal Student Loan Relief Helpline (a for-profit service who may require you to pay to get the answer, but who would then handle all the paperwork for you), at 1-888-906-3065. 3. Call the Student Loan Ombudsman Group, which is a free service of attorneys who help people figure out complicated legal issues related to Federal student loans. Hi! I am an xray technician and have been working for over 1 year, would this cancellation apply to me as well? It has been financially tough lately with all my loans and my father being in and out of the hospital with leaukimia. There is no way I can meet the 600 dollars a month on top of other bills. This cancellation/deferment would be helpful. You need to contact whoever services your loans and ask them. I don’t get to make the decisions about eligibility for these programs, I can only tell you what I know about them from reading through the materials that the Gov’t puts out there. You may be able to get cancellation as your job role is really similar… are you officially a “Licensed Medical Technician”? If so, then yes, you should get help with your debt. Who do you go through if your school is no longer open. It closed down a couple years ago. Olympia College. Contact the Department of Education. I am a nurse, and I graduated from school 3 years ago and I have been paying my loans since, unfortunately with the interest rates they are growing not shrinking. I am wondering if i would qualify for a Perkins or any other types of loan forgiveness. Perkins Loan Forgiveness is only available to people with Perkins Loans. What kind of loan do you have? Have you visited my page about Nursing Student Loan Forgiveness Programs? Maybe you qualify for one of them… or live in a state that offers forgiveness benefits? Check the page out here. Hi Tim, in the article it states to contact your school’s billing department to see if you qualify for the loan forgiveness. My school is no longer open. The board closed the school due to financial problems. I did finish the program two 3-4 months before the school closed. What do I do to find out if i qualify? Try contacting whoever services your loan (the people you make payments to). They should be able to help. Other options would be contacting the Department of Education directly (Google for their contact info), or working with the Student Loan Ombudsman Group, which is a team of lawyers that help people sort out complicated legal problems related to their student loan debt. 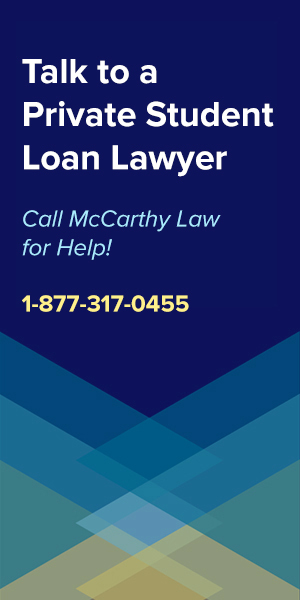 This is a FREE SERVICE that is fully-backed by the Federal Government, and if you don’t get good answers from your Loan Servicer or the DOE, then you should reach out to them. You can contact the Ombudsman Group here. hi! I just started the nursing program, I am qualified for Perkins loan only $9000 per semester, While each semester costs about $21000. Will I qualify for forgiveness if it is my second bachelor degree? also, would you recommend what loan I may apply for to cover the rest of my tuition and be able to apply for forgiveness in future? 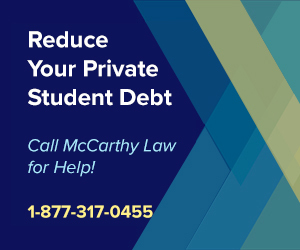 ONLY Federal Student Loans will qualify for forgiveness, so just make sure that you don’t borrow any money from a private lender and you should be all set. I have heard that a first and second degree’s loans can both be forgiven, but I would make sure that you get this in writing from whoever issues your loan before agreeing to borrow. It may even be worth speaking to an attorney to make sure that what you’re trying to do will work. I can’t offer legal advice and do not want to steer you wrong, but I think you will be ok. Does the 1-2 years of full time employement mean that it has to be with the same company? Or just continuous full time employement over the 1-2 year period? I think you can change companies during that time period, but I would double-check with whoever services your loan. As usual, they have the last say in the process, and if you can’t convince them that you’ve satisfied all the eligibility conditions for forgiveness, then it probably won’t go through. I graduated in 1996 with my ASN and have worked full-time for 20 years in the field of nursing. I used a small inheirintence to pay up on my outstanding loan debt and I didn’t have to make a loan payment for 10 years (ending in 2010). Does this qualify for the 120 payments? I had gone back to school at this point so my loans were held while I was in school. Now that I am out of school, I have set up payments with Navient (holder of my loans). I also work as a volunteer for a local Search and Rescue squad for 22 years and with the Federal Government during disasters for 13 years. Does any of those qualify? Navient thinks I can qualify for the forgiveness, but need to find out what I need to do. If Navient is your loan servicer and telling you that you qualify for the forgiveness, then you should listen to them. It’s really up to whoever services your loans, as they are the ones who have to wipe off the debt. (Technically, the Federal Government pays them, so it’s not like they lose the money). I would ask them what the next step in the process is. Find out how they want you to officially apply, then do it. I JUST went part-time after being a full-time nurse for 5.5 years…and I have a Perkins loan! Any idea if they go backwards if my employer signs something? Or, if they forgive for part-time nurses? It’s POSSIBLE! I don’t think you’ll get approval for part-time, but you may be able to qualify for the previous experience. 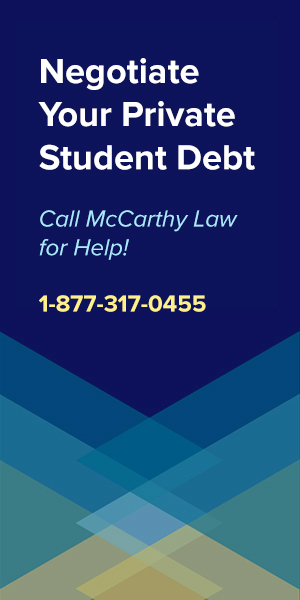 Call whoever services your student loan debt (the people you send monthly payments to). If they tell you no, then don’t give up quite yet. 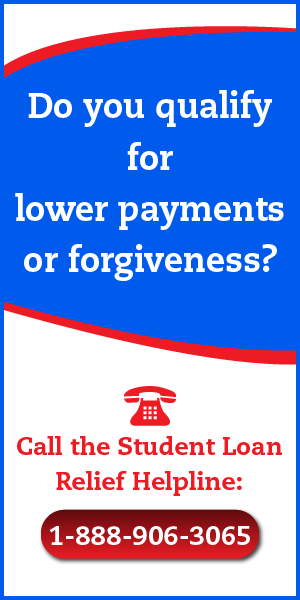 Try calling the Student Loan Relief Helpline at 1-888-694-8235. These guys charge money to do the form filling out and applications for you, but you should be able to get them to tell you (for free) if it’s possible to get approval on retroactive service. I have 3 different Perkins Loans; one of them I consolidated with other loans and it was not a health related major; the other 2 were health related majors (one was nursing and the other one was Physician assistant) and they are not consolidated; all of these 3 loans are currently in default. Now, I am working as a nurse, and would like to take advantage of this loan forgiveness; I have the following 3 questions: 1) are all of my Perkins Loans qualified for forgiveness; 2) is it true if you consolidate a Perkins loans to other loans you forfeit your chance of your loan forgiveness? ; 3) should I consolidate all of them into one and apply for default rehabilitation or should I keep them separately and request rehabilitation. The bad news is that you probably won’t be able to qualify for ANY Federal Forgiveness benefits on the loans that have been consolidated with other loans, or on loans that in default. You’re going to need to contact whoever services your debt and ask them what’s possible here. I don’t want to steer you the wrong direction, and at the end of the day, unfortunately your lender has a lot of power in this situation. I saw that CNA’s were listed under Nurses and qualifies for the Perkins Loan Cancellation program. I have been a CNA for 4 years and a few months ago, I got promoted to a different title, which I am no longer a CNA. Am I still qualified for this program cancellation? I think you should speak to your loan servicer about this. Whoever you send your monthly payments to is going to be able to answer that question definitively. Good luck! I graduated in 1994 with an associates in Medical Assisting and worked for 13 years as an M.A. I have not worked as a medical assistant since 2007 due to burn out. For those 13 years can I get any loan forgiveness? I started out with a student loan debt of $13,000 and now it is $43,000 with interest. I was a single parent and was never able to keep up with my payments so it is in the hands of a collection agency now. Even if I paid 15% of my biweekly check towards the total I could never even pay off a quarter of the debt. Unfortunately, most of the student loan debt forgiveness and assistance benefits don’t allow you to take advantage of any time you spent working years and years ago. There isn’t much retroactive assistance available these days. I would try to get back into the industry and get enrolled in one of the income based repayment plans (probably PAYE or REPAYE, whatever you qualify for), then start making whatever the minimum payment is on your debt each month. After you’ve made 20 years worth of qualifying payments, the rest of your loans will be written off. BTW, this only applies to FEDERAL student loan debt, not private. If you’ve got private loans, you’re in a bad spot, and probably stuck with the debt for life. 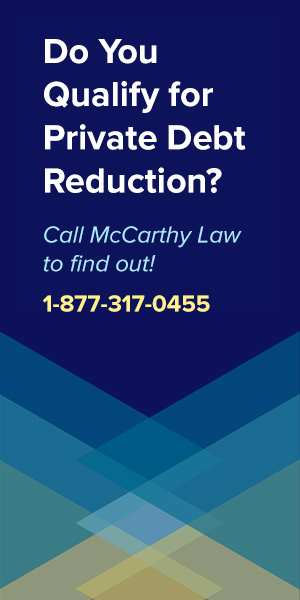 (Speak to a lawyer though, because if you’re older and have a ton of debt, so much that it’s threatening your ability to provide food and shelter for yourself, then you MIGHT be able to qualify for a debt discharge via filing for bankruptcy). Hi, I have been out of nursing school sine 2002 , when I graduated with my masters as andNP , and Have been working ever since as an NP, and before that as an RN throughout my pre grad training. Originally an RN since 1996. Is it true that I need to contact the last school I attended to see if I qualify for any student loan forgiveness? I graduated from the University of San Diego with by BSN in 2001 and my MSN in 2002. Yes, I didn’t make that up. It comes from the Federal Government’s official guidelines. What if you’ve already paid off the loan – say, half a year after you graduated and had a job? Will you still get money back? I don’t think you’re able to get any benefits retroactively. If you already paid everything off, it’s probably too late. Never hurts to try though! I have a question. I went to school for Medical Laboratory Technician in 2000 I didn’t get a loan. I went to school for Biology where I got a Perkins Loan. I then went to nursing school where I got another loan. My question is can I get my Perkins Loan paid off even though at the time I was going for Biology. I currently work at a research company as a MLT does that qualify me? I believe you’ll be fine as long as you’re working as a Licensed Medical Technician now. This specific program is only eligible for Perkins Loans. After all, it’s called the “Perkins Loan Forgiveness Program for Nurses & Medical Technicians”. However, if you’re an RN, you may qualify for some of the other Nursing Student Loan Forgiveness Programs, like the NHSC Nurse Corp Loan Repayment Program, or the NHSC Nurse Corps Scholarship Program. 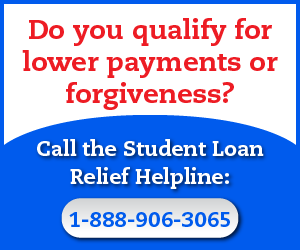 To verify what benefits you have access to, I’d consider calling the Student Loan Relief Helpline at 1-888-694-8235. This is a paid service who can take care of the forgiveness application process for you, and while you could do all that on your own, they’ll be able to figure out which benefits you are eligible for much more quickly and easily. Hi! I am wondering if the Perkins Loan had to be used for your Nursing degree. I know that I received a Perkins Loan, but it may have been for my undergrad and then I went straight to get a second bachelor’s in nursing. I am currently working as a nurse. Would I qualify since I am a registered nurse? Thanks! Good question! I’m not sure. You should contact the school that you attended and ask them, as this program’s eligibility is determined by wherever you studied. In my previous post I asked about LPNs this has answered some of my questions . This may have already been asked but if your loans has been in default at some point then they are never eligible for forgiveness? So if I have an active loan no longer in default it will not be eligible due to it being in default years ago? just wanted clarification. Actually – no, you should still be eligible for forgiveness as long as you’ve gotten your loan out of default and back into repayment. If you were in default but went through a program and back in good standing can you file this? You should be fine as long as your loan is current (in repayment again). I have not been able to find anything that says you lose eligibility permanently when going into default. What I have seen is that loans are not eligible for any sort of Federal forgiveness WHILE they are in default. Thanks for breaking this down so well. Any idea if this applies to Genetic Counselors? My wife just received her certification as a genetic counselor and that would definitely constitute being in the medical profession. That’s a really good question, and I’m not sure where I’d go for an answer to it. I think I’d start by asking whoever you services your wife’s student loan debt. At the end of the day, it’s always about convincing them that you qualify for the benefit, so start there. If they say no, that doesn’t necessarily mean that all hope is lost, you may just need to CONVINCE them. That could require contacting an attorney and drafting some threatening letters, but if it worked to get your wife qualified, then it’d likely be worth the cost to have this done. would you still be eligible if the loan is defaulted? No. When loans are in default, they are no longer eligible for any Federal forgiveness benefits. How do we find out thru which institution we got a Perkings loan? “Oh, the one you went to school at!” Nope, sorry, I personally went to a number of schools “Well, look on your paperwork!”. Nope, that’s not gonna work. How do we find out thru Fed Loan Servicing, Sallie Mae, Navient, or whoever which institution if any, gave us a Perkins Loan, or not? Login here: http://www.myfedloan.org/, or contact whoever you send your monthly payments to and start asking each lender. One of them will be able to tell you. I went to school back in 1992, in Vista,California. I moved back to Ohio in 1993. Ive been working as an LPN since 1997. My school has since closed at that campus and changed names. Do I still need to call them to apply for the perkins relief program? My loan has been in and out of default and my wages are being garnished. I know owe about $6400 and have paind well over $32000 for this loan. Sorry to hear about your financial troubles, but it sounds like you’re getting close to resolving everything, which is great. To tell you the truth, I am not sure how to approach this issue. I’m going to put out some feelers and see if I can figure out what to do, then I’ll update this comment once I’ve figured out what you need to do. who do I contact to get more info and see if I am eligible for this forgiveness loan? Contact number? That’s not really how it works. You need to read the eligibility guidelines and figure it out for yourself. You COULD contact whoever services your student loans, but they would probably tell you the same thing I just wrote. I’m wondering how can I can find out if i’m elligible for perkins loan forgiveness? Please let me know if there is something I need to fill out. Did you read this article? Everything is explained in detail here. Look at the sections “Which Nurses are Eligible” and “Which Licensed Medical Technicians Are Eligible” to find out.